The house at 505 West Hunt Street has been in the same family from beginning construction to the present. The builder and first owner, Glenn Alvin Stiff, was a McKinney native whose grandfather Jack McGarrah was one of the original settlers of Collin County. Glenn Stiff, son of Edward Rollins Stiff and Mary McGarrah Stiff married Edna Emberson (September 3, 1873-September 12, 1932) in 1891. She was the daughter of Elijah Emberson, an early settler of Pilot Point, and Susan Stewart Emberson. Glenn’s father, Ed Stiff, born in Kentucky on 16 May 1836 to William Henry Stiff (1814-1979) and Mary Margaret Rollins (1818-18791, was part of the Stiff family that came from Virginia and Kentucky to Collin County, Texas. Jesse Stiff came to Worth Texas in 1835 and established the Stiff Community, seven miles northwest of present day McKinney, in 1838. James B. Stiff, his wife, and his nephew Edward Rollins Stiff arrived in Collin County from Kentucky in 1854. Edward Rollins Stiff married Mary Margaret McGarrah in 1856 and had fourteen children. The home they built still stands at 513 N. Kentucky in McKinney. He passed away on 20 April 1905. Mary Margaret McGarrah Stiff was the daughter of John (Jack) McGarrah and Polly Graham McGarrah, initial Collin County settlers. Jack McGarrah claimed a headright of 640 acres and tried to establish Buckner as the county seat. Glenn, born in 1866, grew up in McKinney and married Edna Emberson in 1891. Glenn and his bride lived in Pilot Point, her home town, where he was in the dry goods business. Their daughter Claude Gladys was born at a doctor’s home in McKinney in 1879. Soon Glenn, Edna and their new daughter moved back to McKinney and became members of the community. In 1908 Glenn and Edna entered into a contract with G.W. 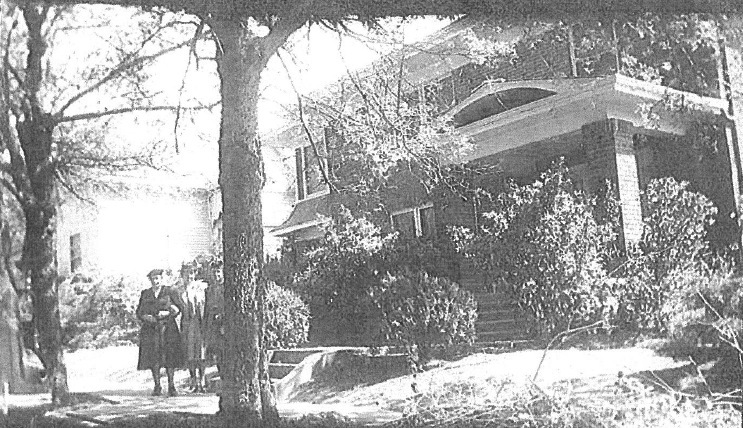 Owens Company, for the amount of $1486.70, to build a house at 505 West Hunt Street. The house was finished in 1913. Glenn was a prosperous businessman. He worked as a road contractor, railroad contractor, and cattleman. He was on the board of Central National Bank, an active member of the Chamber of Commerce and was part of the groups who donated an addition to Pecan Grove Cemetery and gave the lot at the northwest corner of Hunt and Benqe to the First (United) Methodist Church. Claude Stiff married Julius Purnell in 1916. Julius and his family had come to McKinney from Mississippi, where they were in dry goods business. 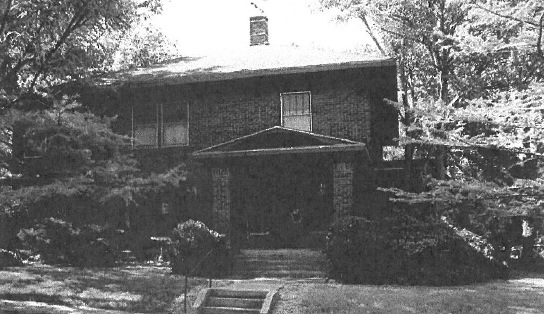 Julius and Claude moved in with her parents at 505 West Hunt St. and had a daughter, Edna Elizabeth Purnell in 1922. Glenn died in 1929 and Edna in 1932. The Purnells remained at 505 Hunt Street. Edna Elizabeth graduated from the first Boyd High School, where Caldwell Elementary is today, and went on to Hockaday and SMU. After college Edna Elizabeth taught high school math in McKinney. During WWII Edna Elizabeth went to many US0 functions where she met a soldier, William Thedford, who was stationed at Ashburn Army Hospital. William and Edna Elizabeth fell in love and were married in 1949. They moved to Seattle, Washington where William had a position in the theater business. In 1950 William and Edna Elizabeth had a son, William Purnell Thedford. Young William visited his grandparents in Texas every summer, was stationed at Ft. Hood during his military commitment and married a Texas girl, Bonita Sue McKnight, from Rocksprings Texas, in 1978. Julius had passed away in 1960 and Claude was in a nursing home. Bill and Nita moved into the house just to ‘freshen it up and sell itf. They fell in love with McKinney and their neighborhood. An early memory is spending a snowy New Year’s Eve watching neighborhood children sledding down the Hunt Street Hill on the sleds their mothers had thought were merely Christmas decorations. Three daughters, Betsy, Elli-e, and Marty, were each born at Collin Memorial Hospital and spent kindergarten through high school in the McKinney ISD. They are all now college graduates. Nita and Bill still live on Hunt Street and are active in First United Methodist Church and their community. The house was originally wood frame and was brick veneered in the 1920’s. In the same decade the coal burning stoves were replaced with gas heaters and a downstairs bathroom was added on to the west. Extensive remodeling was done in 1983, with new electrical wiring, creation of a master bath, floored attic, new upstairs living area and walk in closets. During the 90’s the kitchen was remodeled, and central air and heat were installed. The brick veneer and west downstairs bathroom are the only exterior changes to the house in 100 years. The Thedfords love living in the heart of McKinney and marvel at the progress and growth all over our town. Without the historical downtown and neighborhood though, they know that McKinney would be just another suburb of Dallas.